"But THEY Said..." Who Says What Your OSHA Requirements Are? Ensuring compliance with occupational safety and health regulations is an essential element of business success, given the legal hassles and steep fines that can come with failing to meet those expectations. 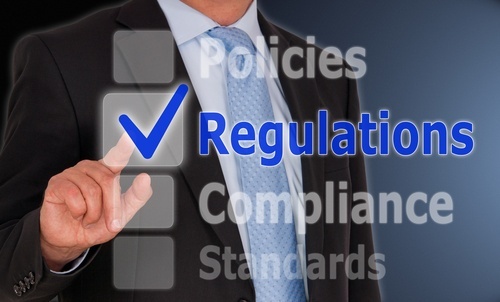 One of the more confusing aspects of compliance is that health and safety regulations are imposed by both the federal government and state governments. Many states impose their own occupational health and safety standards in addition to those set by OSHA. Even though these standards are meant to work in tandem, it’s not always clear which ones an employer must obey. When minor worker injuries occur on the job, first aid is typically rendered. However, under OSHA regulations, there is a fine line between what is considered first aid and what OSHA labels medical treatment. Knowing exactly where that line is matters to employers in terms of staying in compliance with OSHA workplace regulations, most specifically the agency's recordkeeping regulation contained in 29 CFR 1904, "Recording and Reporting Occupational Injuries and Illnesses."